Langsdom BT20 Bluetooth headset is foldable, with an attached audio cable, you can still enjoy favorite music when the battery is flat. Also you can share music with your best friend through line-out audio. The adjustable headset rests gently on your head and rotated ear cups which can rotate more than 180° for a personalized fit. Soft cushions cradle your ears, and all materials are lightweight and built to last. With Bluetooth 4.1, even the maximum volume will not breaking the sound quality, super bass HiFi stereo sound quality output. Built in concealed HD microphone, which is noise canceling, delivers more clear and nature sound. One-Key button to answer or reject the incoming phone calls, free your both hands, safety driving. ● Bluetooth 4.1 technology, super bass HiFi stereo sound quality output. ● Built-in amplifier active automatically improving the sounds details in Bluetooth mode. 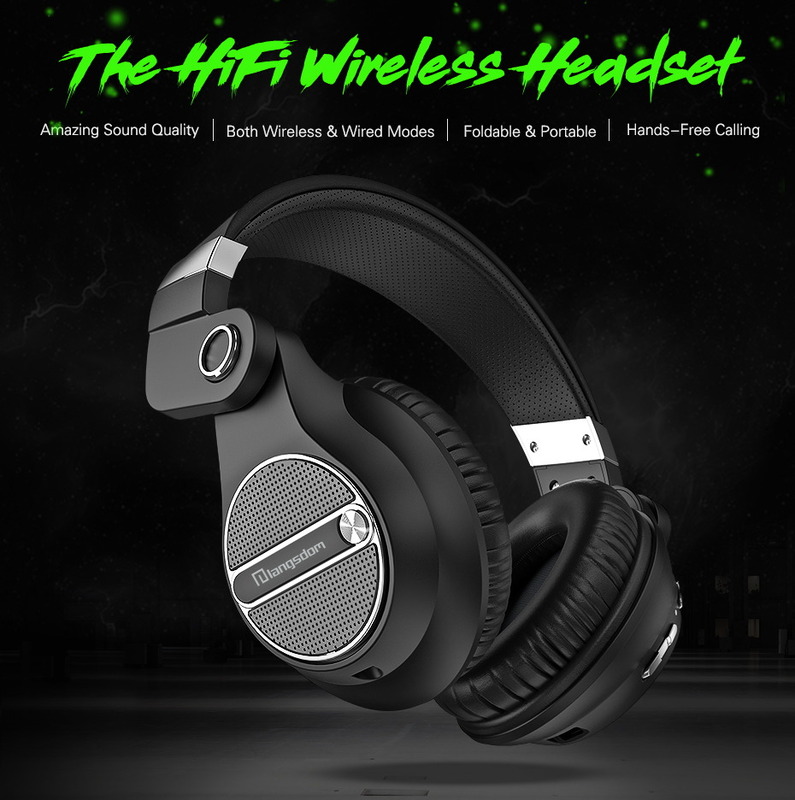 ● The improved neodymium driver brings high-fidelity stereo sound quality. ● Easy one touch pairing with NFC technology. ● Additional audio line input, for use when battery is low. ● Support both wireless mode and wired mode. ● Built-in microphone enables hands-free calling. ● One-key button to answer or reject the incoming phone calls, free your both hands. ● Leatherette earpad fully isolate external noise. ● Soft earmuffs and adjustable headband for comfort fit and long time wearing. ● Built-in 550mAh rechargeable battery, 120 hours long standby time. ● Foldable design, space-saving, convenient carrying.